The resilience of the US legal system is being tested in the first great and continuing confrontation between the Trump administration and his marshalled opponents. The battle is testing the Republic to its limits, pitting views of sovereign will and legality against each other with near unprecedented viciousness. The wail on the part of the Trump administration is that of the prerogative power, the executive unshackled from the Promethean crag in the name of the people to combat threats actual and potential. Trump wants a revolution, and the establishment is dragging down his swirlingly confused efforts in protecting the US. On Sunday, Trump specifically directed his ire against federal judge James Robart from Seattle, who suspended the President’s ban on refugees and travel on February 3. An emergency appeal by the White House to immediately reinstate the ban was also dismissed by the ninth US circuit court of appeals, further adding to those jittery Twitter fingers. Vice President Mike Pence, lurking in the background with dark reassurance, justified Trump’s truculent behaviour, suggesting that the President had “every right to criticize the other two branches of government”. Doing so did not question “the legitimacy of the judge.” This sat oddly with the remarks made by Trump on Saturday claiming Robarts to be a “so-called” judge. The world suggested by the submission is at times necessarily parochial, with a vigilant commander-in-chief guarding the gates against the inappropriate, the dangerous and ill-suited. To exclude aliens who refuse to melt in the US pot, in other words, is the ultimate act of sovereignty. The awkward Achilles heel in this whole business has been the inability of the DOJ to actually show imminent harm and utility. None of the arguments swayed the judges of the federal appeals court sitting in San Francisco, which requested that the administration and the state of Washington file for arguments by Monday afternoon. Lawyers for the states of Minnesota and Washington also added to the fray by insisting that the order had caused unmitigated chaos. As the submission went, “Over 7,000 noncitizen immigrants from the affected countries reside in Washington.” There were those abroad prevented from returning home; husbands had been separated from wives, brothers from sisters, and parents from their children. The Order had also another impact, one that always cuts deep in debates about rights and liberties in the US context: it had proven to be economically harmful. The travel ban affected sales tax revenue of state coffers; the Washington-based travel company Expedia had incurred costs in attempting to repair the mess. Additionally, companies such as Microsoft and Amazon were hurt in their means to recruit skilled immigrants. The balls-up had been total. 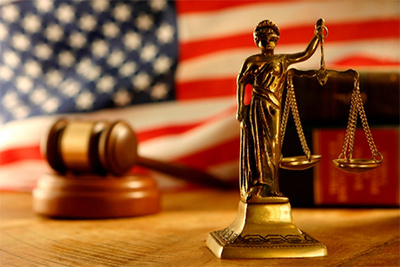 The US legal system has, in its own way, made use of the spirit of sovereignty in various guises: the Constitution, artificial as the assertion of a sovereign will, supposedly embodies the highest beliefs and sentiments of “we the people”. But nothing gets away from the fact that the US remains a vast sprawling entity of vectors and forces, a system of constraint and, at times, fractious deadlock. Legitimate questions have been raised about the extent a judge, for instance one sitting in the district court system, should be able to issue nationwide orders that halt the enforcement of an executive order, regulation or statute. The power would seem to those favouring a stronger executive a monstrous intrusion, one that asserts the universal from the particular. The vital question to advance here is how far judicial power, which should, technically, only bind specific parties, be exerted. Such orders move beyond the specifics of the plaintiffs’ grievance at hand, extending beyond their remit. President Barack Obama’s administration was the recipient of such orders, arguably even more expansive than those facing Trump, on matters touching on overtime pay, immigration and gender identity. Unsurprisingly, these spoiling efforts came from Texas courts, where resistance was deemed more likely. Trump, in contrast, is facing orders in ostensibly more “liberal” courts, though this can never a hard and fast rule. The assumption in the US Republic is that forum shopping between opponents is alive and well. Judicial representatives, as high priest functionaries reading the meaning of the Constitution with its separation of powers, have played a powerful part in the first days of the Trump administration. They must also adjust to text and context, to read the mysterious signs that constitute the Constitution. So far, it is a battle the Trump administration has yet to win.